President Donald Trump on Saturday hailed a court decision against Obamacare as ‘a great ruling for our country,’ while a U.S. government official said the decision by a Texas judge would have no immediate impact on health coverage. U.S. District Judge Reed O’Connor in Fort Worth, Texas, on Friday said that Obamacare, known formally as the 2010 Affordable Care Act (ACA), was unconstitutional based on its mandate requiring that people buy health insurance. In a decision that could reach the U.S. Supreme Court, O’Connor sided with a coalition of 20 states that argued requiring people to pay for insurance coverage is illegal because a change in tax law last year eliminated a penalty for not having health insurance. ‘It’s a great ruling for our country. We will be able to get great healthcare. 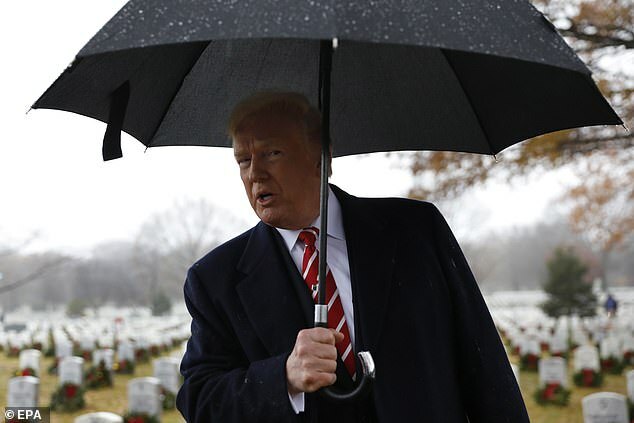 We will sit down with the Democrats if the Supreme Court upholds,’ Trump told reporters during a visit to Arlington National Cemetery in Virginia on a rainy Saturday. ‘We expect this ruling will be appealed to the Supreme Court,’ CMS Administrator Seema Verma wrote on Twitter on Saturday. ‘There is no impact to current coverage or coverage in a 2019 plan,’ she said late on Friday. Since the law’s formative stages amid concern about millions of Americans lacking health insurance, Republicans have opposed Obamacare, calling it a costly and unneeded government intrusion into Americans’ lives. Trump campaigned against it in 2016. 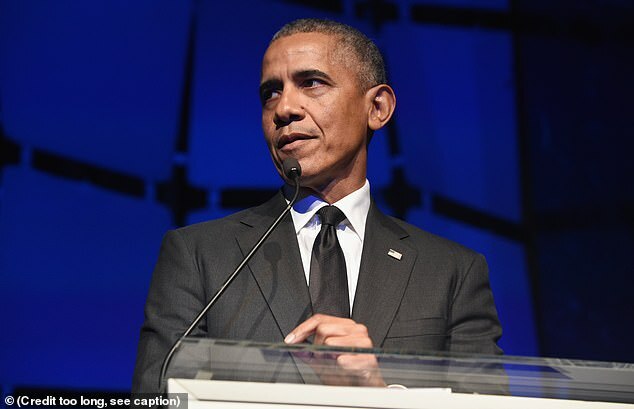 They have repeatedly tried, but failed, to repeal the law, which was the signature domestic policy achievement of former Democratic President Barack Obama. Even with control of both chambers of Congress and the White House in 2017, Republicans could not push through a repeal. If the Supreme Court were to uphold O’Connor’s ruling, it would go a long way toward dismantling Obamacare. 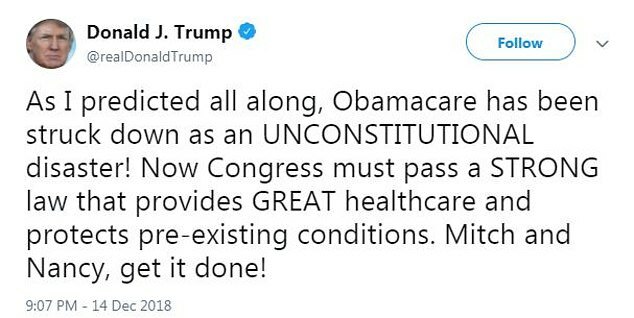 He said because the individual mandate was an ‘essential’ part of Obamacare, the entire law, rather than just the individual mandate, was unconstitutional. Timothy Jost, a health law expert and emeritus professor at Washington and Lee University School of Law in Virginia, said it was ‘silly’ and ‘irresponsible’ for O’Connor to find that the individual mandate could not be separated from the rest of the ACA. He said judges who find that portions of laws are invalid are required ‘to do as little damage as possible’ to the rest of the law, and O’Connor had ignored that principle. Jost noted that the 5th U.S. Circuit Court of Appeals, which will hear any appeal in the case, is considered the most conservative federal appeals court in the country. But, ‘O’Connor is so far off the reservation here that virtually any (appeals) panel will reverse him,’ Jost said. On Friday, Trump responded to the ruling on Twitter with glee. He followed that up eight minutes later with a second Tweet. ‘The Individual Mandate can no longer be fairly read as an exercise of Congress’s Tax Power and is still impermissible under the Interstate Commerce Clause — meaning the Individual Mandate is unconstitutional,’ the judge wrote. A year ago, Trump signed a $1.5trillion tax bill that included a provision eliminating the individual mandate. In the 55-page opinion, O’Connor ruled Friday that last year’s tax cut bill knocked the constitutional foundation from under ‘Obamacare’ by eliminating a penalty for not having coverage. Republicans have opposed the 2010 law, the signature domestic policy achievement of President Donald Trump’s Democratic predecessor Barack Obama, since its inception and have repeatedly tried and failed to repeal it. The White House hailed Friday’s ruling, but said the law would remain in place pending its expected appeal to the Supreme Court. ‘Once again, the president calls on Congress to replace Obamacare and act to protect people with preexisting conditions and provide Americans with quality affordable healthcare,’ White House spokeswoman Sarah Sanders said in a statement. In June, the Justice Department declared the healthcare law’s ‘individual mandate’ unconstitutional in federal court. The decision was a break with a long-standing executive branch practice of defending existing statutes in court. U.S. District Judge Reed O’Connor, is no stranger to the conservative resistance to Obama administration policies. In 2014, the Fort Worth, Texas-based judge upheld the constitutionality of an Arlington, Texas, ordinance that bars people from handing out printed material at busy intersections and roads. The lawsuit had been brought by a gun-rights group called Open Carry Tarrant County. Although he upheld the ordinance, O’Connor ordered the city to pay the group’s coordinator $42,251 in damages. Also in 2016, he struck down new U.S. Health and Human Services regulations that advised that certain forms of transgender discrimination by doctors, hospitals and insurers violated the Affordable Care Act. He declared that the rules placed ‘substantial pressure on Plaintiffs to perform and cover (gender) transition and abortion procedures.’ A coalition of religious medical organizations said the rules could force doctors to help with gender transition contrary to their religious beliefs or medical judgment.